The Philippines has indeed become a global stage already. 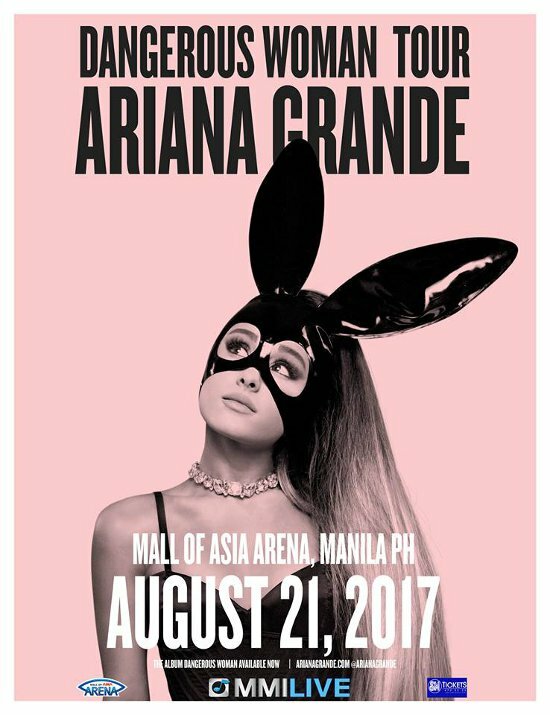 We had Madonna, Coldplay, One Direction, among others and now Ariana Grande will be back in Manila to hold her Dangerous Woman Tour on August 21, 2017. Ticket prices have not yet been announced but I'm sure if it's expensive, the concert junkies in us will make a way to be able to afford the tickets. Grande held her first concert in the country in August 2015 at the MOA Arena.